Victoria Gardens Is All Treats, No Tricks, for Its Spook-Tacular Halloween Bash! 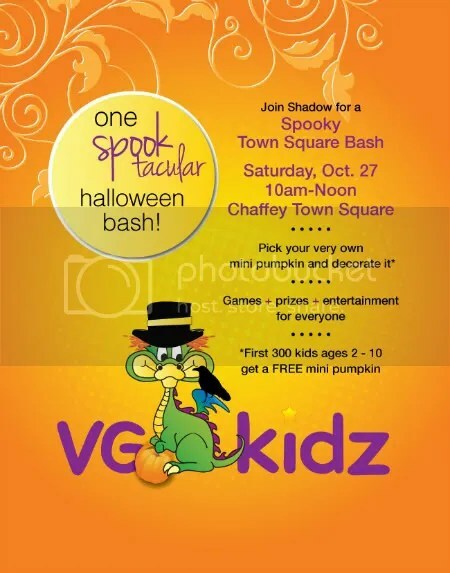 On Saturday 10/27, join the Victoria Gardens Kidz Club for the ‘Spooky Town Square Bash’ from 10:00 am-12:00 pm in Chaffey Town Square. This free event will celebrate the season with activities for everyone, including a pumpkin patch, a maze & other Halloween-themed games. The first 300 kids (ages 2-10) will receive a free mini-pumpkin to decorate at the pumpkin decorating station. The bash will also include a balloon artist, Halloween music, prizes, & a face painter to give spooky makeovers. This will be a night to remember. Address for event is 10777 Civic Center Dr. Rancho Cucamonga, Ca 91730. Friday October 26th 5 pm – 9 pm.